I recently came across an article in the fashion authority Vogue magazine featuring model Maye Musk (68) who proves without a doubt that beauty has no age. I would have to add that style is ageless. I mean, look at 94-year-old style icon, Iris Apfel! In many ways her style is timeless, but it is also dynamic and current. In her documentary, “Iris” I recall her incorporating cuffed, narrow-legged jeans into an ensemble. 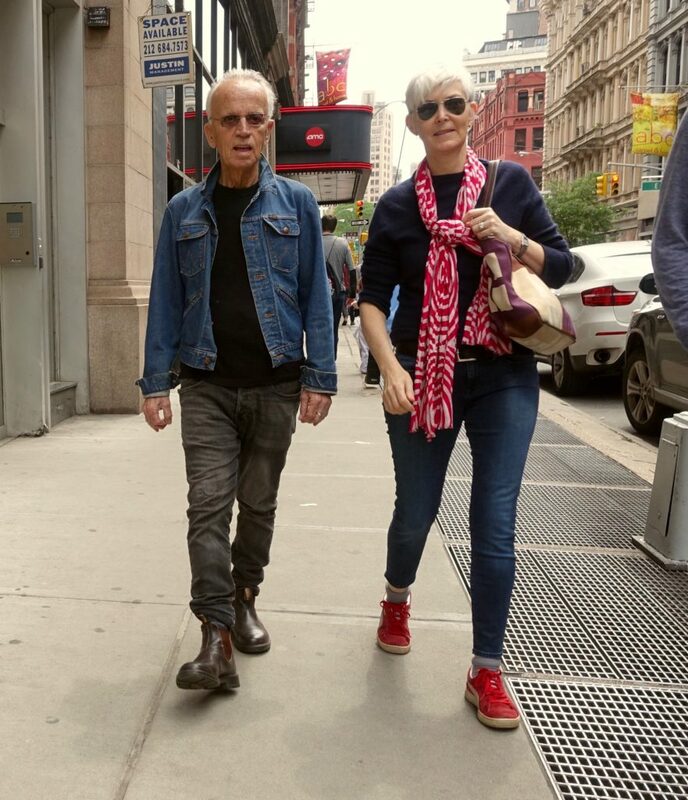 This couple I spotted walking down Broadway in New York is another fabulous example of ageless, dynamic style – how well we can do to disregard those articles on how to dress for a certain age! Haha! Can those three things ever be stylish? 😉 Actually, I think that a Hello Kitty tee – cleverly styled – could be pulled off by a mature woman. And pigtails…Madonna might do them well. I think that shorts that show booty – off the beach – are tasteless. But I used to know a 78-year-old woman who presented a one-woman cabaret in fishnets – she could totally pull off short shorts – especially some of fine knit worn with cool textured tights. Thanks for the comment and the chuckle, Nancy! ? Love that couple! I think they they look both stylish and adorable.